4. What is the warranty9 2 years warranty from the date of delivery,A lifetime technical support. 5. What&rsquo;s your delivery time9 Around 2~10 working days according to exact order quantity and stock situation. 6. What&rsquo;s your Payment9 PayPal or T/T(Bank transfer) or Western Union also Ali trade Assurance. 2 YRS Shenzhen Couns Technology Co., Ltd.
1 YRS Chongqing Cardweb Electronics Co., Ltd.
Access control unit. 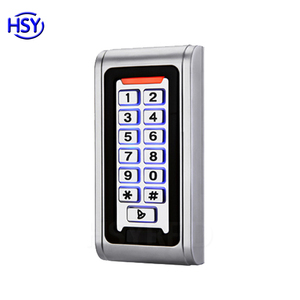 IP network door access control system manufacturer l Size: L 150mm&times;W100mm&times;H28mm; l Power: DC12V; Consumption &le; 1W; l Registered user number can reach 1700 (the number can be expand); l 6 digit LED digital display with keyboard operation function; l Detailed record: the upper limit for newest record is 6144 (can be expanded to above 20,000); l Multi-environment monitoring, event-management, and alarm output; l Support different ways of door-opening: card, remote control, keypad and button; l Support TCP/IP network, standard 10MB Ethernet; l With internal EM card reader, RF frequency: 125KHz ; l Working temperature: -10 &deg;C --55 &deg;C ; l Working humidity: &lt;98%. l Monitor record for environment event: magnet and infrared, etc; l Support different electromagnetic locks: magnetic lock, electric bolt, pulse lock, etc; l Anti-jamming protection for both input and output; the oiled treatment of its surface can effectively prevent it from mildew and dampness; It composes intelligent and safety control system of &ldquo;In & Out&rdquo; with the function of network-connected security and monitoring, applied widely to systems such as intelligent door guard, electronic monitoring, security, work attendance and watching. .
A fully featured networkable access control unit, MGnet N01 boasts a high specification with fast communication and capacity for up to 100,000 cards, making it suitable for very large access control project. Connect directly to your network via true TCP/IP, fast communication rate with 100Mbps; The host can work independently off-line. Function Features &diams; Adopting 32-bit embedded CPU, with strong processing capability &diams; Connect via true IP, fast communication rate &diams; Multi-card check feature, up to 9 cards &diams; Mantrap. 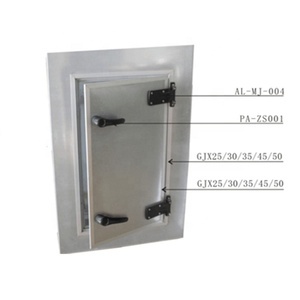 2 YRS Foshan LYB Plastics And Metalworks Ltd.
Over the years, LYB has been specialising in home security products, security system chassis and a wide range of home security related accessories. The manufacturing facility in Foshan encompasses a variety of machinery enabling LYB to produce almost any design according to the Customer's wishes. Built to Order LYB offers a wide range of stock Access Panels, Casings, Mounting, System Chassis, Accessories and Components. 10 YRS Shenzhen Yuan Mechanical Electronic Co., Ltd.
3 YRS Shenzhen Smiles Smart Technology Co., Ltd.
4 YRS Shenzhen CXT Technology & Development Co., Ltd.
PLC controlled can work with all access and revenue systems. 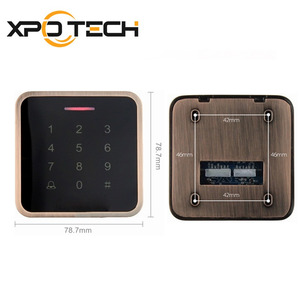 we CXT tech devote ourselves in providing middle and high end professional service and customized solution of physical access control for clients. We are the holder of : Independent intellectual rights of products,dozens of development technology patents of core tech. A6. 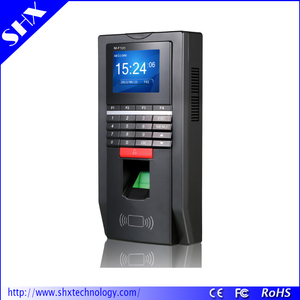 Card dispenser control interface (entrance) or card collector control interface (exit). 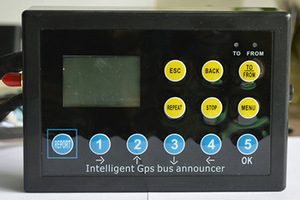 A10.Support network to run the two-way operation and off-line operating mode. or it is 5-7 days if the goods are not in stock, it is according to quantity. Now we service customers from more than 80 countries, with good reputations and long-term cooperation. Our Mission We are committed to providing safe, quality and user-friendly access control products. We will enhance our brand equity by developing, manufacturing at low cost. 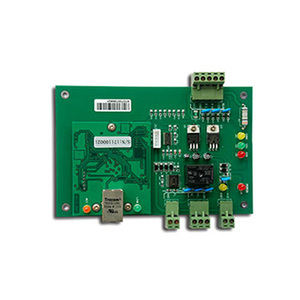 Alibaba.com offers 820 access control unit products. About 23% of these are locks, 14% are access control card reader, and 11% are access control system. A wide variety of access control unit options are available to you, such as free samples, paid samples. 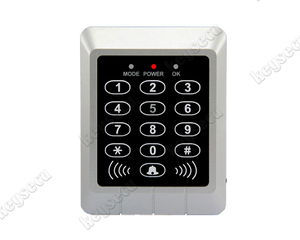 There are 820 access control unit suppliers, mainly located in Asia. 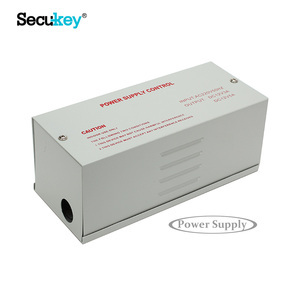 The top supplying country is China (Mainland), which supply 100% of access control unit respectively. 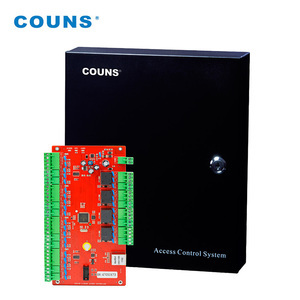 Access control unit products are most popular in Western Europe, Southeast Asia, and Mid East. You can ensure product safety by selecting from certified suppliers, including 307 with ISO9001, 57 with Other, and 56 with ISO14001 certification.